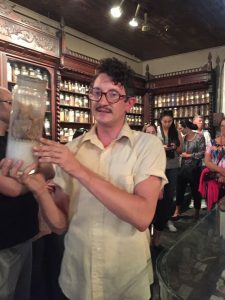 One of the high points of a recent trip to New Orleans (and that is a city where high points are the norm) was a visit to the New Orleans Pharmacy Museum. 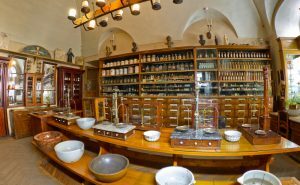 In the course of a theatrical and hilarious presentation about the murky past of medicine in this city that is a blend of debauchery, magic and pestilence, the guide talked about how the well to do would have medicines coated in silver or gold. The joke about this is that none of the medicine contained within the precious metal shell got absorbed. This was probably a good thing as many of the medicines being used in those days like arsenic, strychnine, lead and mercury, which were prescribed with enthusiasm for a whole range of illnesses, were themselves poisons (it makes you wonder which therapeutic modality, that we think of today as the best thing since sliced bread, is going to turn out to be poisonous). It didn’t worry the patients of yesteryear, our guide told us. When they crapped out the pills untouched, they would just rinse them off and take them again. They even willed them to their children.